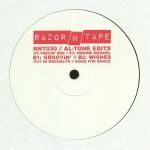 Review: You can always rely on New York's Razor-N-Tape for high quality respectful edits. 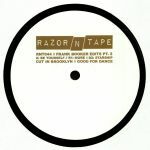 Cut in Brooklyn, here's another disco killer that is great for dancing - courtesy of JKriv & Aaron Dae out now via their Reserve imprint is Londoner Ali Gibbs aka Nebraska, who tweaks a soulful sample with signature finesse; it's part disco, part house and all vibes on "Usin' Me". Lovebirds then get in on the action to deliver a soulful and bittersweet early Chicago house perspective, the legendary DJ Nature never fails to deliver either and gets properly deep and emotive with his terrific remix. As does Scottish veteran The Revenge on the flip, taking the track into the late night on his stellar effort.